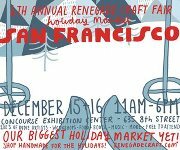 monkeyink:blog: 4th Annual Renegade Craft Fair Holiday Market in San Francisco! We're going to be showing work at Renegade this weekend, hope to see you there! Debuting two new 16x20" giclee prints at a great deal!